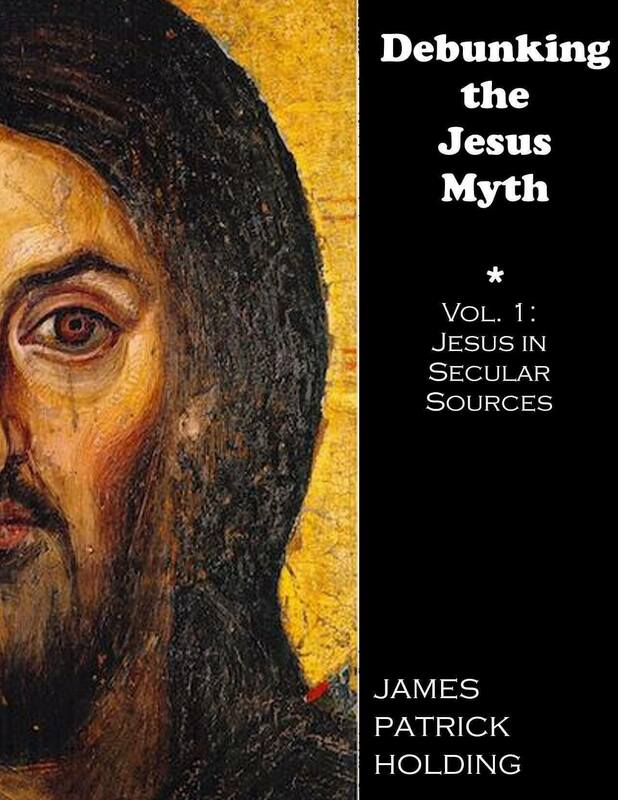 What objections are raised by those who claim such to be a myth (“mythicists”) as a way to blunt this testimony to a historical Jesus? Objection #1: It’s a Forgery! The passage is in perfect Tacitean style, and it appears in every known copy of the Annals, although admittedly there are very few copies of this work with none dating earlier than the 11th century. It is difficult to find any scholarly authority who believes that this passage is a forgery. Two approaches are possible. One is to say that the whole of the passage was interpolated into the text of the Annals. The other approach is to say that only some small part of it--particularly the portion that mentions Pilate and Christ--was added later. Let’s have a look at each of these arguments. No church father quotes the passage early in church history, so it must have been added later. No church father, however, would have willingly quoted such a negative reference to Jesus and the Christians. There is also nothing in the passage that would not have been common, agreed-upon knowledge to church authors or their opponents. Moreover, indications are that Tacitus wrote for a very limited audience of his peers and it is likely that the Annals may not have gotten into the church’s hands at an early date. In the original text of the Annals, the word “Christians” obviously was first written spelled “Chrestians” before the “e” was erased and replaced with an “i!” This shows that scribes have been fooling with the text. It is true that such an erasure has been noted, but this is hardly evidence of textual fraud. (We will discuss why the original text read “Chrestians” below.) Scholars who have studied this erasure have concluded that it was made by the original scribe who composed the manuscript, although a second scribe later added a small mark above the “i” in “Christians.”  However, even if it was all changed by a different scribe, it is a non sequitur to conclude that a single erasure is proof of a larger forgery. The Dead Sea Scrolls are filled with erasures made by scribes, but it would be ludicrous to use that information to suggest that the Essenes forged portions of the Old Testament. There’s a suspicious part of the Annals missing. Book 5 covers the time between 29-32 AD, right when Jesus lived! That’s a sign that the Annals have been tampered with! The argument here goes that Christians were embarrassed by the lack of reference to Jesus in this timeframe, so they excised a portion of the Annals--which in turn, we are to suppose, is evidence that Annals 15.44 is somehow fraudulent. But if this is the case, why did these alleged forgers not simply insert a passage into the portion that covered 29-32 AD? So what if it’s in perfect Tacitean style? That just proves that the forger was good at what he did. This is a clear counsel of despair, as mythicists simply argue that the lack of evidence for forgery merely indicates that the passage was forged by an exceptionally clever forger. At such points, reason is no longer operative and the theory is controlling the facts. Christians interpolated a lot of books over the centuries, so we have reason to be suspicious here! On the surface, this is already a fallacious “guilt by association” argument; the activity of one scribe is not judged by the activity of others, especially when there were a great many scribes active over hundreds of years and a significant spread of geography. It is also absurd to judge each interpolation to be a guilty forgery, as opposed to an accident, or an honest attempt to reconstruct an otherwise lost or damaged passage. Finally, if we are to use statistics responsibly, we have to say that over 99.9% of all material that has been copied has not been interpolated, which means that the preponderance of evidence on this count favors authenticity. Tacitus is the only historian to connect the fire of 64 AD to the Christians. That smells suspiciously like someone interpolated at least part of the passage! However, the alleged lack of connection is based far more on imagination than information. Let’s look at some allegedly problematic silences. From here, the argument is made that Pliny’s uncle, Pliny the Elder, wrote a history of Rome, and would surely have mentioned the fire, and the connection to Christians. The younger Pliny’s professed ignorance is said to prove that his uncle made no such connection of Christians to the fire, which makes Tacitus’ reference suspicious. The immediately obvious problem, aside from not having Pliny the Elder’s text, is that the younger Pliny’s profession of ignorance has to be understood properly. To begin, it is culturally understandable when seen as Pliny showing proper humility to one to whom he must show respect and honor, and from whom he is requesting guidance. Second, what Pliny professes ignorance of is how to put Christians on trial --not things like whether Jesus existed, or was crucified under Pilate. The Elder Pliny’s account of the Neronian fire, no matter how detailed, would have contained nothing at all pertinent which would have informed the Younger Pliny’s ignorance of “what offenses it is the practice to punish or investigate,” or what to do with older Christians, and so on. This is especially the case because Pliny is requesting from Trajan what amounts to a policy decision. He can hardly acquire knowledge of what Trajan’s policy decision will be from an account of what Nero did (especially at a time when Nero was mad). Suetonius (70-130 AD)--mentions the burning of Rome, but no connection is made to Christians. This is interesting but irrelevant, because Suetonius actually blames Nero for starting the fire, “under cover of displeasure at the ugliness of the old buildings and the narrow, crooked streets….” Since Suetonius blames Nero for the fire, he would hardly be interested in reporting about anyone else blamed for starting it, thereby raising doubts about his own record! The senate, because it had not given the approval itself, rejected his proposal. Cæsar held to his opinion, threatening wrath against all accusers of the Christians. Consult your histories; you will there find that Nero was the first who assailed with the imperial sword the Christian sect, making progress then especially at Rome. But we glory in having our condemnation hallowed by the hostility of such a wretch. For any one who knows him, can understand that not except as being of singular excellence did anything bring on it Nero’s condemnation. Domitian, too, a man of Nero’s type in cruelty, tried his hand at persecution; but as he had something of the human in him, he soon put an end to what he had begun, even restoring again those whom he had banished. Such as these have always been our persecutors,—men unjust, impious, base, of whom even you yourselves have no good to say, the sufferers under whose sentences you have been wont to restore. But among so many princes from that time to the present day, with anything of divine and human wisdom in them, point out a single persecutor of the Christian name. Since Tertullian makes no reference in this context to the leading martyrdoms of Peter and Paul, it is clear that he is referring to some generalized persecution, such as what is described by Tacitus. The one question that may be asked is why there is no specific reference to the charge of arson. Two answers present themselves. The first answer has to do with the dynamics of the Greco-Roman world as an honor and shame society. If an accused person thought that a charge against them was false, responding with silence--essentially, ignoring the charge--was a way to show that you thought that the charge was undeserving of your attention. Jesus’ silence before Pilate serves as a Biblical example. Alternatively, it could be understood as Tertullian accepting the validity of the arson charge. But in the context of a defense like his Apology, and the fact that even Tacitus says that the charge was misplaced (being merely an excuse to persecute Christians for their deviancy from the norm), the former is more likely. The second answer has to do with the fact that in responding to the charges of arson, and Nero’s response, Christian writers would have been criticizing an imperial edict. That would not have been a wise way to avoid further persecution. However, since they would also certainly not wish to acknowledge that the charges were valid their alluding to the event in a somewhat vague way was the most practical option. [Galerius] employed private emissaries to set the palace [in Nicomedia] on fire; and some part of it having been burnt, the blame was laid on the Christians as public enemies; and the very appellation of Christian grew odious on account of that fire. It was said that the Christians, in concert with the eunuchs, had plotted to destroy the emperors; and that both of the emperors had nearly been burnt alive in their own palace. Eusebius (263-339 AD)--In the second book of his History of the Church, Eusebius discusses the martyrdoms of Peter and Paul under Nero, but makes no specific mention of the arson charge. He does, however, quote the same passage noted above from Tertullian’s Apology, so it is clear that he would be alluding to the event in much the same way. Sulpicius Severus (363-425 AD)--It is claimed that this author, in his Chronicle 2.29-30, clearly uses Tacitus as a source, but doesn’t mention Pilate crucifying Christ, and it is supposed that this is evidence that that small portion was interpolated after his time. However, that Severus would not transfer over this information from Tacitus is hardly shocking: As a Christian author writing to Christian readers, this was old news already known from the text of the Gospels. Acts of Peter/Acts of Paul--It is argued that these two apocryphal texts refer to Christians being persecuted by Nero, but the fire is not mentioned. That’s hardly a shock either, since, as the titles indicate, these are acts of Peter and Paul, not “Christians who lived in Rome.” Unless we are to suppose Peter or Paul had a hand in the fire (and they may have been away from Rome, or already been dead by the time it happened), there’s very little reason for it to be mentioned in either of those works. Objection #2: Tacitus is not a reliable source! The most common manifestation of this objection is that Tacitus was not an “eyewitness” to the life of Jesus. Such claims are made without consideration that Tacitus was not an eyewitness to the bulk of what was recorded in the Annals. He was probably born around 56 AD, which means, by this logic, that all he has to say about the reigns of Tiberius, Caligula, Claudius, and any other emperors before his time can be trusted! If we want to really press the “eyewitness” requirement, in fact, virtually none of his history can be trusted--nor can, for example, the works of a modern historian writing about the Civil War. Obviously, serious historians do not demand that a source must be an “eyewitness” to offer reliable information. They also consider whether the source shows a properly critical and professional spirit in reporting history. So does Tacitus pass such a test? Mythicists would be hard pressed to contradict serious scholars like those cited here. The usual tactic is to issue a special plea that Tacitus was, on just this occasion, careless in his work. Evidence for such alleged carelessness is not presented except by implication. It will be said, for example, that he borrowed material from some trusted friend who was not as reliable, like Pliny the Younger, or that he simply trusted Christians to tell the truth about their founder. Tacitus’ reliability as a historian counts against his having borrowed information uncritically from any source. There is also clear evidence that he was critical with information presented to him, even by a trusted source. That Tacitus simply got his information from Christians is disproved by the negative tone of the reference. It is clear from this negative tone that Tacitus did his own independent evaluation of the Christian movement. This means that even if his first source of contact was a Christian, he would not fail to confirm their information with another, non-Christian source if necessary. That Tacitus got his information on Jesus, or some of it, from Pliny originally is quite possible: The two men were close friends. Tacitius sent his works to Pliny for criticism, and “he himself begged for the product of Pliny’s pen.” Tacitus also “turned to Pliny for first-hand material for his Histories”, so he was not hesitant to use Pliny as a source. However, this does not mean that Tacitus accepted Pliny’s information on Jesus, or on any topic, uncritically. Annals 15.53 indicates that Tacitus did collect some information from Pliny--and that he disputed it, and as noted below, even considered it wholly absurd! Simply because Pliny was Tacitus’ friend and confidant does not mean that he believed everything that Pliny told him. Although it is possible that Tacitus got his information from Pliny, certain points of evidence claimed to prove a dependency from Pliny to Tacitus can be overstated. That both authors call Christianity a “superstition” means very little: This was the normal word for a deviant movement that did not adhere to Roman standards. That both called Jesus “Christ” also means very little; the New Testament itself tended in that direction, and since there were only two options (“Jesus” and “Christ”) there was already a 50-50 chance of the two authors using the same nomenclature. Mendell notes that in Annals 13, Tacitus quotes three divergent opinions from three different historians on a story involving Nero. He was concerned even about minor historical details in this regard. Mendell further notes Tacitus’ citation of a fantastic story about one Drusus, “based only on persistent rumor, which (Tacitus) refutes by the application of logic.” He writes: “In the Histories there are sixty-eight instances in which Tacitus indicates either a recorded statement or a belief on someone’s part with regard to something which he himself is unwilling to assert as a fact; in other words, he cites divergent authority for some fact or motive.” These instances “…would seem to indicate a writer who had not only read what was written by historians...but had also talked with eye witnesses and considered with some care the probable truth where doubt or uncertainty existed...The sum total of the picture is clear. For the main narrative, Tacitus assumes the responsibility of the historian to get at the truth and present it. His guarantee was his own reputation. To make this narrative colorful and dramatic, he felt justified in introducing facts and motives which he might refute on logical grounds or leave uncontested but for which he did not personally vouch. There is no indication that he followed blindly the account of any predecessor.” Mendell also notes that Tacitus was concerned for maintaining his integrity as a historian. This is more important than we may realize: The world of Tacitus was one based in honor and shame, in which personal honor was as important to a person as paying the bills is to us today. Carelessness or error by Tacitus would have reflected badly upon him in a way that, to himself and his contemporaries, was critical. In the Annals, the work with the paragraph on Jesus, Mendell cites 30 instances where Tacitus uses specific phrases “to substantiate a statement or to present a statement for which he does not care to vouch.” Mendell also notes that, “[i]n Books 11-16 of the Annals” (the Jesus reference is in 15) Tacitus “concerns himself with the evidence and source references to a greater extent than in the earlier books.” He relies on other historians, a bronze inscription (11.14), reports or memoirs (15.16), personal testimonies (15.73), and physical evidence (15.42). There are indications of searches for first-hand (15.41) and written (12.67, 13.17) evidence. Thus the passage on Jesus comes in the middle of one of Tacitus’ most carefully-documented works. In short, Tacitus was a very careful historian--he would certainly not trust a source that he held in such disdain as he did Christians, and he would carefully check material that came to him, even from his friends. Finally, let us add that there was no need for Tacitus to get his information from Pliny since he had plenty of Christians in his own province of Asia where he was governor, if not more Christians than Pliny had, and he was probably well aware of Trajan’s edict concerning the Christians. Even if Tacitus investigated things regularly, why would he look for evidence that Jesus didn’t exist? Tacitus probably did assume that Jesus existed when he began his research, if he did not have sufficient information to conclude that he did from the very beginning. It is our assertion that the existence of Jesus was of the rank of common knowledge, much as the existence of someone like Billy Graham would be today. But let us say that it was not. What would happen then? Tacitus as a historian would certainly look into the origins of the cult, and once he did investigation into some of Jesus’ history (his death in Palestine, and the Christian movement), he would begin to see problems which would have caused suspicion. By analogy, suppose someone wanted to check into claims about the life of Mohammed. An investigator might begin by wondering how Mohammed managed to be so influential among his countrymen. He might want to look into how Mohammed led his forces in war. But to do so, there must be records and proof that Mohammed did lead his forces in war, and if he didn’t exist, then such records and proofs would be notably absent, or at the least, seem “fishy.” The sources, if Mohammed existed, would be full of statements saying what Mohammed did and when. If a Muslim claimed that Mohammed led a specific battle, made all of its tactical plans, and so on; and all earlier records, even Muslim ones, of the battle either do not mention him, or attribute his work to others, then a historian will start wondering what is amiss—as Tacitus surely would have when investigating Christianity. Thus, in the process of investigating Christianity, Tacitus would uncover evidence leading to indications of the non-existence of Jesus, which would accomplish the same purpose as though he were merely looking for evidence of Jesus existing. This, as we have shown, would be completely out of character for Tacitus: Careful inquiry was indeed part of Tacitus’ mode of operation. Moreover, we have clear evidence that Tacitus would not simply repeat what he was told by people whom he disliked. When reporting on the history and beliefs of the Jews, whom he despised as much as the Christians, it seems fairly obvious from the disparaging descriptions given that Tacitus was not inclined to consult the Jews’ “own view” or even “Jewish informants.” Certainly no Jew told Tacitus the horrible things he suggested about the origins of Judaism! First, a likely cause for investigation erupted right in Tacitus’ backyard, in Rome c. 95 A.D. Emperor Domitian’s niece Domatilla, and her husband Flavius Clemens, were accused of “atheism,” related to “being carried away into Jewish customs.” Judaism of course was a recognized religion, so it is quite likely that the “Jewish custom” referred to is Christianity. Here, then, was a perfect motive for Tacitus to investigate the movement historically: Some of Rome’s highest-placed people seem to have joined the movement. Third, as a historian, Tacitus would have a reputation and an honor rating to maintain. It was in his best interest to be accurate and careful as a historian, and he would have invested a great deal in his practice prior to writing it down. As Ash notes  being a historian and writer at this time “made exceptional demand on its practitioners” and a writer had to have a certain amount of authority to be successful. The historian had to not only be a researcher but a good literary stylist. A historian was also vulnerable to criticism from competitors; history was a “competitive genre” whose “practitioners often tried to enhance the credentials of their own efforts by pouring scorn on the work of their predecessors.” And it gets worse: In Tacitus’ own time, a historian named Hermogenes was executed by the Emperor Domitian because the latter was offended by some innuendoes in his work. Indeed, Domitian got so angry that he even ordered the executions of slaves who had copied the manuscripts! One might argue that Tacitus was in no such danger concerning a reference to Jesus, but he may well have been. Giving credence to a deviant movement whose founder was not known to exist, might well have offended an emperor, especially one as unpredictable as Domitian, whose very relatives had become Christians. Thus, by evidential standards, Tacitus passes the tests of reliability with flying colors. Tacitus may well have been a careful historian normally, but for all we know, when he investigated or reported about Christianity, maybe he wasn’t as careful as he usually was. After all, there were times when he did make mistakes. An objection of this nature is a manifest counsel of despair comparable to the “brilliant interpolator” thesis. Anyone making this sort of objection is engaging in special pleading. If a report of Jesus, which showed that he existed, had fooled Tacitus then it also fooled everyone—in other words, we will have to posit a carefully crafted conspiracy full of manufactured literary, testimonial, and other historical evidence, of the sort that could be posited to “dehistoricize” any figure in history we find it convenient to dismiss. Tacitus would not have had permission to consult the imperial archives, and even if he did, it was not his regular practice to consult written documents. Wells and others object that it is unlikely that Tacitus accessed official documents or had access to the imperial archives. Evangelical scholar Murray Harris writes that these records “were secret so that even the senate needed special permission to consult them (Tacitus, Hist. 4.40).”  Does this thereby eliminate the possibility that Tacitus found out his information through this important source? The imperial archives were indeed jealously guarded: In the passage noted by Harris from Tacitus’ Histories, the Senate asks the Emperor Domitian for permission to consult the imperial archives, and Tacitus indicates that permission was granted! But what of Tacitus himself? Nothing from Tacitus’ own works tell us anything about whether Tacitus needed special permission to consult the imperial archives. He does not tell us how difficult it was to get permission, or that he himself received (or did not receive) such permission, or how often he did get or needed to get access. However, a look at Tacitus’ background suggests that if anyone would be able to get that very special permission to consult the imperial archives, Tacitus would be an excellent candidate. Consider the qualifications Tacitus enjoyed. Tacitus was well-respected, a man who “won renown quickly” and “seemed of all the eminent men then active the most worthy of imitation.” His reputation was such that in a letter of recommendation for a particular young man, Pliny indicates that being a friend of Tacitus is considered to be a sign of high quality. He won great fame as an orator, and progressed rapidly through the offices of Rome, ending up as proconsul of Asia, which was considered a “prestigious” office to hold, one of two “jewels in the administrative cursus under senatorial control” (the other being Africa). He was made a member of a body of priests “who had charge of the Sibylline books and many of the special festivals of the Roman state,” at a time when this priestly body was “of the utmost importance.” He reached the consulship, “Rome’s highest office,” in 97 A.D. possibly having been nominated by Domitian prior to the latter’s assassination. His personal contacts were impressive as well: He married a daughter of Julius Agricola, the governor of Britain, whose biography he also wrote, and would have had to have had “the acquaintance of some of the foremost men of the state” for Agricola to have noticed him. Agricola himself was highly favored, having held office in Britain longer than any other governor there in spite of competition, possibly because of his extensive military success there. Tacitus may have advanced in part because of the influence of his father-in-law. “Speeches of the emperor are discussed also in (Annals) 1.81, obviously as accessible. Of letters sent to Tiberius and of others attacking Nero and Agrippina he speaks (5.16 and 5.3) as though they might still be consulted. This is certainly true of the one to Tiberius.” In Annals 15.74, Tacitus cites the records of the Roman Senate from Nero’s time and cites Senate records elsewhere (5.4). The acta senatus included letters from emperors, governors of provinces (like Pilate), allies, and client kings. Tacitus also probably made use of Rome’s public libraries. Momigliano asserts that Tacitus made wide use of Senate records for the period of Domitian, and lesser use of them for the time from Tiberius to Titus; for that era, Momigliano tells us, Tacitus probably used the works of Senate historians more often. Syme notes further that the arguments of Fabia and those who agreed with him are based mostly on a single passage in Tacitus where he says that he was not able to give some information that should have been in the acta diurna. Hence, it was assumed by Fabia that he had no access to it. Syme points out that Tacitus gives an explanation for not being able to get the information, and “he deserves to be taken at his word.”  Wells has relied upon a badly outdated and highly incorrect source for his argument! It is salient to point out here something that cannot be emphasized enough: This type of mistake is committed only by people working outside their field, as Wells is. Tacitean scholars have the breadth of judgment and background to know that Fabia is wrong, such that Wells use of Fabia as a reliable source actually indicates Wells’ radical unfamiliarity with the scholarship in Tacitean studies. Rome’s libraries burned down before Tacitus wrote his material, so he wouldn’t have any records to search. This is a fairly strange objection, inasmuch as it refutes itself. Rome burned in 64 AD and 80 AD. The libraries were victims of these fires. But if they were destroyed in 64 AD, then why were there libraries to burn down in 80 AD? The obvious answer is that the libraries were restocked with copies of material, either from elsewhere in the Empire, or by means of new copies being made. By the time Tacitus wrote his histories, Rome’s libraries would have had a couple of decades to restock. Finally, we return to Mellor for this admonition: “(Tacitus’) passionate opinions should not obscure the fact that he is the most accurate of all the Roman historians.”  If we throw out the Jesus reference on this basis, we must also throw out much else of what Tacitus has written, along with the works of all other Roman historians. Thus, Tacitus’ bias in general, and his bias against Eastern religions like Christianity particularly, is of the opposite sort that would be required to devalue the reference to Jesus. Again, when reporting on the history and beliefs of the Jews, Tacitus’ bias led him to say things that were disparaging, which means that out of contempt for Christianity he would have reported any rumor or indication that Jesus was a fiction, or had not really been sentenced to death. As it is, we have not even that much, and there is also nothing about what Tacitus reports about Christ that bias would affect. For example, how would “bias” affect his assertion that Christ was crucified under Pilate? Tacitus would not have wasted hours of his life looking for a reference to an obscure cult leader like Jesus. If the death of Jesus was common knowledge, he didn’t need to. However, Tacitus was a competent enough historian that he would not have “wasted hours” looking for what he wanted. Instead, he simply would have spent a few minutes looking for it knowing exactly where to go to find out what he needed to know. Tacitus reports crazy things like a birth of a calf with two heads! Did he check out things like that? Though this objection is made with a touch of incredulity, the reality is that a calf with two heads would be nothing that extraordinary; it reflects a real condition called polycephaly. That said, in many such passages where Tacitus reports something this odd, one can frequently detect traces of his trademark sarcasm (e,.g., “never were lightning flashes more frequent”), which means he may not believe the reports himself. Finally, the passage on Jesus reports nothing out of the ordinary: A man being crucified was a frequent occurrence in ancient Rome! From here, objections are made to what are alleged to be specific historical errors in Tacitus. Tacitus is in error because he refers to Pilate as a “procurator” when in reality Pilate was a prefect. This means that he is unreliable, or that he probably did not consult written documents. This objection is also favored by Wells. However, it is open to question whether this is even an error. We should first consider the difference between these two titles. A procurator was a financial administrator who acted as the emperor’s personal agent. A prefect was a military official. In a minor province of the Empire like Judaea, there was probably not much difference between the two roles, and the same person would very likely hold both offices simultaneously. Critics assume that because there is an inscription that describes Pilate as a “prefect” in Caesarea, that therefore this was his sole title. But other literary evidence shows that Pilate likewise held the title of procurator. The Jewish historian Josephus calls Pilate a “procurator” in Antiquities 18.3.1. In practical terms, “both the procurators and prefects in Judaea had the power to execute criminals who were not Roman citizens.” This is a “difference” that is, in substance, no difference at all. Tacitus refers to a “great multitude” of Christians at Rome. There would not be this many Christians in Rome at this early time. This is a rather empty objection that merely assumes what it sets out to prove. Even so, what does Tacitus mean here by a “great multitude,” is it 50? 100? 500? Is it a relative term for, “a great multitude, in respect to the crime committed?” (In other words, if we arrested 50 people for holding up a corner gas station, does that seem like a “great multitude” to arrest for such a relatively minor crime?) There is simply no force behind this objection, for it lacks specificity. At this point, the objections become far less realistic as we descend the ladder of quality in the mythicist mindset camp. Egypt...I have found to be wholly fickle and inconsistent, and continually wafted about every breath of fame. The worshippers of Serapis are called Christians, and those who are devoted to the god Serapis, call themselves bishops of Christ. I have found this passage thrown around uncritically a lot on the Internet, but you won’t hear about the problems with it. First, it is generally dated around 134 A.D., which is much too late to prove what mythicists want it to prove. Second, there is more to the quote: It goes on to speak of rulers of Jewish synagogues, Samaritans, and presbyters of the church, and Hadrian says that there are none of these “who is not either an astrologer, a soothsayer, or a minister to obscene pleasures,” and though they proclaim allegiance to either Serapis or Christ, their only real god is money. Hadrian’s complaint is about a syncretistic, huckster environment, and offers no evidence of a bona fide use of the term “Christian” by Serapis worshippers. There is no record of the Crucifixion in Roman records. This is true, but this is only because we have no Roman records at all--on any subject--from the time of Jesus that describe the affairs of any provincial governor like Pilate. Sadly, this argument is often repeated uncritically, obviously without knowledge of the lack of preservation of all such records. Suetonius, another Roman historian, says that in his public entertainments Nero took particular care that no lives should be sacrificed, not even those of condemned criminals. So Tacitus must be wrong. First, the burning of Christians by Nero was not a “public entertainment” but a punishment. Second, the likely source for this claim is Suetonius’ De Vita Caesarum section XII, which says, “These plays [Nero] viewed from the top of the proscenium. At the gladiatorial show, which he gave in a wooden amphitheatre, erected in the district of the Campus Martius within the space of a single year [58 A.D.], he had no one put to death, not even criminals.” This refers, again, only to public entertainment, and to only one particular year and place, which was before Nero displayed the insanity for which he became so infamous. Why would Tacitus regard Christians as “criminals who deserved the most extreme punishments” just because they were members of a deviant sect? That wasn’t a capital crime. The punishment described as given by Nero was not for being Christians, but for arson, and as noted above received a capital sentence. Tacitus says the people “called” those people Christians, in the past tense. If Christians were still around in his time, around 110 AD, he would have used the present tense. The logic is further followed that Tacitus must have been referring to some other group than what we now know as Christians, who would therefore be extinct in his time, since he refers to them in the past tense. This is merely semantic gyration that makes too much of too little. Tacitus is describing specific people and their actions that lived in the past. There is no need for Tacitus to insert extra language such as, “called Christians by the populace back then, and still called Christians by the populace now,” to somehow satisfy modern critics. By the same token, Tacitus does not use such strange language elsewhere. In Annals 8.13, he refers to someone living some 70 years earlier who was “offering vows to the local divinities on a mountain called Sambulos….” If this criticism is on target, Tacitus should have added something about, “a mountain called Sambulos back then, but also now.” By this logic, Tacitus would otherwise be saying he no longer believed this mountain existed! In conclusion, Annals 15:44 provides what is perhaps the clearest and most indisputable evidence of the existence of Jesus found in secular records. For one rather amateurish attempt to deem the passage a forgery, see Herbert Cutner, Jesus: God, Man or Myth? (New York: Truth Seeker, 1950), 111-2 for an example of such an argument. Cutner was not a historian or a scholar, but an artist and a popular writer. T. A. Dorey, ed. Tacitus (London: Routledge, 1969), 149. John Granger Cook, Roman Attitudes Toward the Christians from Claudius to Hadrian (Mohr Siebeck, 2011), 40. See for example the popular account by Ivana Kvesic, “New Study Reveals Exact Date Jesus was Crucified, Scientists Claim,” http://www.christianpost/com/news/new-study-reveals-exact-date-jesus-was-crucified-scientists-claim-75562/ in which Kvesic discusses how geologists have connected the quake recorded in the Gospels with specific seismic activity in Palestine. Robert E. Van Voorst, Jesus Outside the New Testament (Eerdmans, 2000), 45. Jesus now remains silent (19:9). He neither defends himself nor offers a riposte to the challenge. Silence in the face of accusation is very difficult to assess; but in an honor and shame context it would probably be read as a shameful thing (see Neh. 6:8). To fail to give a riposte to a challenge is to accept defeat and so loss of honor. Yet readers have already been socialized in just this aspect of Jesus' honor, and so the riposte has been given in advance. Knowledge of whence Jesus comes (pothen) and whither he goes (pou) has been a major issue throughout the narrative. Outsiders either do not know (3:8; 8:14; 9:29) or falsely think they know (6:41-42; 7:27-28). Many times Jesus proclaims the correct answer, namely, that he comes down from heaven (6:38) or that he descends from heaven and ascends back there (3:13; 6:62). Insiders like the blind man accurately deduced the true "whence" of Jesus because of his power to heal (9:30). And finally the reader is told that Jesus comes from God and returns to heaven (13:1-2). Thus readers can answer Pilate's question; they know "whence he is," namely, a person whose parent is none other than God and whose "country of origin" is none less than heaven. His exalted honor, then, is secure in their eyes. The narrative suggests that Jesus' silence in fact challenges Pilate's power, who then responds with new questions: "Will you not speak to me? Do you not know that I have power to release you and I have power to crucify you?" (19:10). "Power" (exousia), an expression of honor, is at stake. Although Jesus gives no riposte to this new challenge concerning his origin, he does in turn offer a counter-challenge to Pilate's claim of power: "You would have no power over me unless it were given you from above" (19:11). Ronald Syme, Tacitus (Oxford: Clarendon, 1958), 281-2, 398. G. E. F. Chilver, A Historical Commentary on Tacitus’ Histories I and II (Oxford: Clarendon, 1979), 24. Donald Martin, Tacitus (Berkeley: University of California Press, 1981), 211. Michael Grant, Greek and Roman Historians: Information and Misinformation (London: Routledge, 1995), 40, 43; Grant, Tacitus: The Annals of Imperial Rome (Penguin Books, 1973), 18, 20. Donald Dudley, The World of Tacitus (Boston: Little, Brown & Co., 1968), 29. Ronald Mellor, Tacitus (New York: Routledge, 1993), 20, 31-2, 45. Herbert W. Benario, An Introduction to Tacitus (Athens: University of Georgia Press, 1975), 87. Rhiannon Ash, Tacitus (Bristol Classical Press, 2006), 63. Clarence W. Mendell, Tacitus: The Man and his Work (New Haven: Yale University Press, 1957), 15, 21. G. A. Wells, Who Was Jesus? (Open Court, 1989), 20. G. A. Wells, The Historical Evidence for Jesus (Buffalo: Prometheus, 1982), 17; Wells, The Jesus Legend (Chicago: Open Court, 1996), 42. Ironically, in reference to the fact that Tacitus does not even say in the passage where Pilate ruled, Wells says, “Tacitus cannot be expected to give the life history of every incidental character he mentions.” The Jesus of the Early Christians (Pemberton: 1971), 186. Would that Wells consistently applied that argument to Jesus when he demands that the NT epistles mention such incidentals as Jesus’ residence in Nazareth! Stephen Benko, Pagan Rome and the Early Christians (Bloomington: Indiana University Press, 1984), 15-16. T. J. Luce and A .J. Woodman, eds. Tacitus and the Tacitean Tradition (Princeton University Press, 1995), 5. Note that Bowersock clearly uses “resurrected” here figuratively, not as a reference to the process of Jewish resurrection in a glorified body. Tacitus indicates that the rumor was that Nero was “still alive,” that is, had not actually died at all. Ash, op. cit., 53, 55. Murray Harris, References to Jesus in Early Classical Authors. Gospel Perspectives: The Jesus Tradition Outside the Gospels (Sheffield: JSOT, 1985), 352. Robert Maynard Hutchins, The Annals and the Histories by P. Cornelius Tacitus (Chicago: Encyclopedia Brittanica, Inc., 1952), v; Benario, op. cit., 12-14, 19; Grant, Tacitus, 7; Dorey, op. cit., 5-7; Mellor, op. cit., 8-9. Mendell, op. cit., 204, 212; Dudley, op. cit., 28; Syme, op. cit., 278; Mellor, op. cit., 19-20, 33; Benario, op. cit., 80-7; Momigliano, op. cit., 116-17. Wells, Jesus of the Early Christians, 187. Kraus and Woodman, op. cit., 97, 100. Mellor, op. cit., 7, 21, 38. Benario, op. cit., 148, 155, 157. Found in several of his books, but for example, Did Jesus Exist?, 10. Van Voorst, Jesus Outside the New Testament (Grand Rapids: Eerdmans, 2000), 48. Kraus and Woodman, op. cit., 111. For what it is worth, the secular web’s Richard Carrier--who has indicated that he is sympathetic towards the mythicist position (see Chapter 26)--has stated: “It seems evident from all the source material available that the post was always a prefecture, and also a procuratorship. Pilate was almost certainly holding both posts simultaneously, a practice that was likely established from the start when Judaea was annexed in 6 A.D. And since it is more insulting (to an elitist like Tacitus and his readers) to be a procurator, and even more insulting to be executed by one, it is likely Tacitus chose that office out of his well-known sense of malicious wit. Tacitus was also a routine employer of variatio, deliberately seeking nonstandard ways of saying things (it is one of several markers of Tacitean style). So there is nothing unusual about his choice here.” “Did Jesus Exist? Earl Doherty and the Argument to Ahistoricity” (2002) <http://www.infidels.org/library/modern/richard_carrier/jesuspuzzle.html> and accessed April 3, 2008. Van Voorst, op. cit., 43ff. Although a fragment preserved in the work of a later historian, Sulpicius Severus, may indicate that Tacitus did mention Christians in a part of his Histories that are since lost to us. See <http://www.fordham.edu/HALSALL/ancient/12tables.html> as accessed April 3, 2008. A related objection is that Nero would not risk a second fire in Rome by setting people alight, as if ancient people did not know how to control small fires!